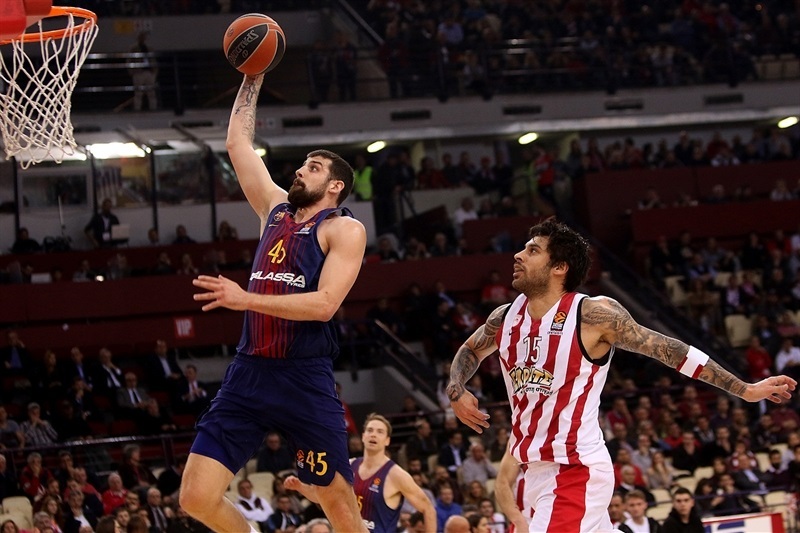 A stunning second-half performance gave FC Barcelona Lassa a resounding 63-90 victory over Olympiacos Piraeus, which lost at home for the first time since Round 6 and dropped to 18-8 for the season. 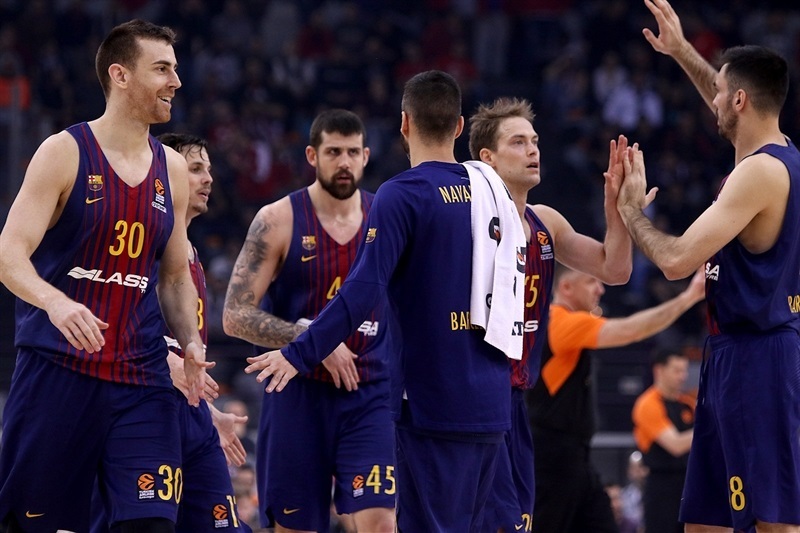 Barcelona, which improved to 9-17, led from midway through the first quarter, but really turned on the style after the break, mounting a 0-17 run to put the outcome beyond doubt. 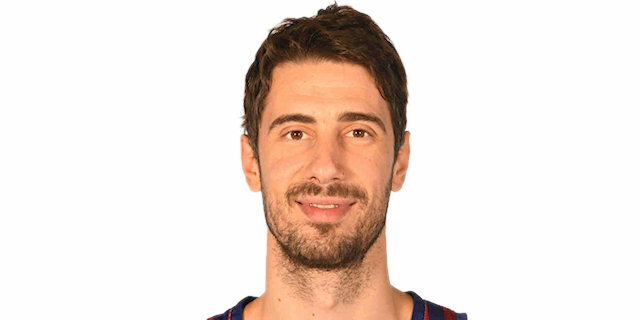 Adrien Moerman registered a double-double of 17 points and 13 rebounds, while Ante Tomic combined 19 points and 10 boards and Pierre Oriola had 12 points and 8 rebounds, as Barcelona won the rebounding battle 35-48. Thomas Heurtel paired 13 points with 7 assists and Petteri Koponen scored 14. 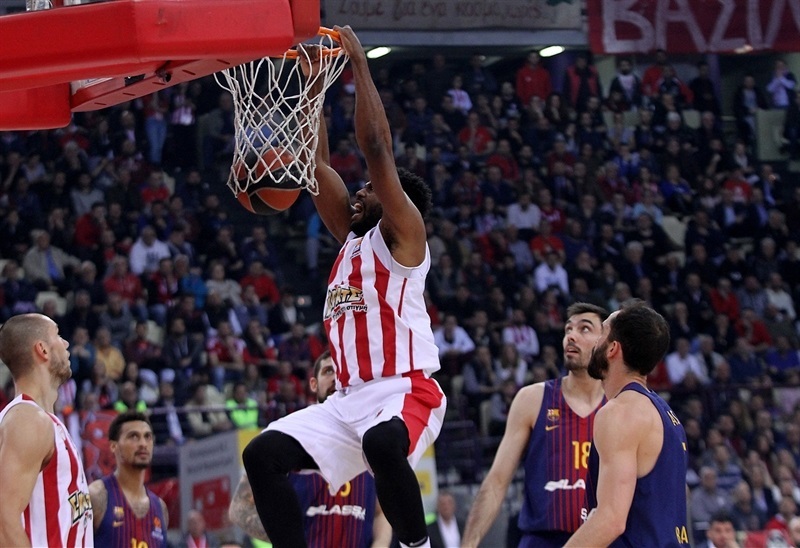 Jamel McLean was the home team’s best player with 14 points and 12 rebounds, Georgios Printezis scored 14 points and Vassilis Spanoulis had 10. Printezis shined in the early going, scoring 6 points as the home team went up 10-6, but 7 points for Tomic and a fastbreak slam from Moerman sent the visitors ahead. Moerman added 5 more points to complete a 0-8 run for a 12-18 lead. 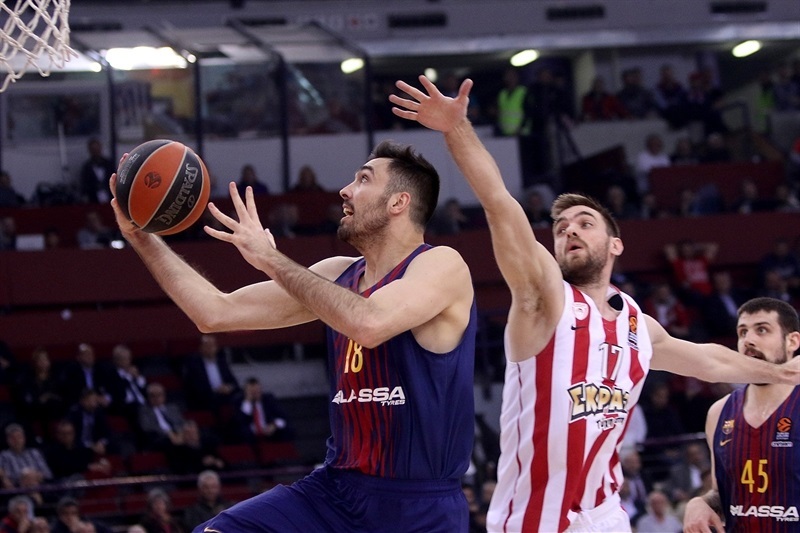 Nikola Milutinov’s dunk and a Spanoulis triple made it closer, but Tomic continued to have the hot hand with two more baskets as Barca finished the quarter ahead 17-22. 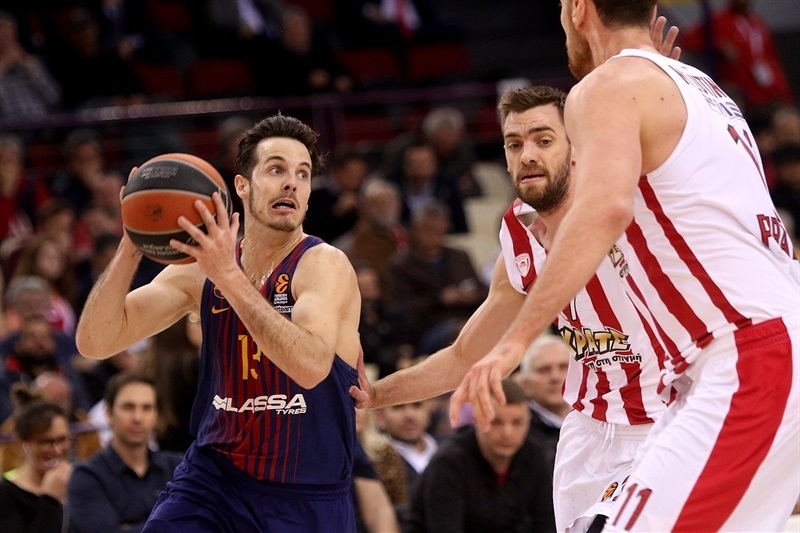 McLean slammed to make it 23-24 early in the second quarter, but Juan Carlos Navarro and Pau Ribas both hit triples and Oriola’s lay-up forced Olympiacos into a timeout at 25-32. Janis Strelnieks answered with a three-pointer and Bobby Brown’s first basket followed by a put-back from McLean made it 33-34. Tomic returned to the scoring and Koponen netted a jumper to protect the lead. Both offenses stalled towards the end of a first half, which ended at 38-40 after a two-handed slam from Printezis. 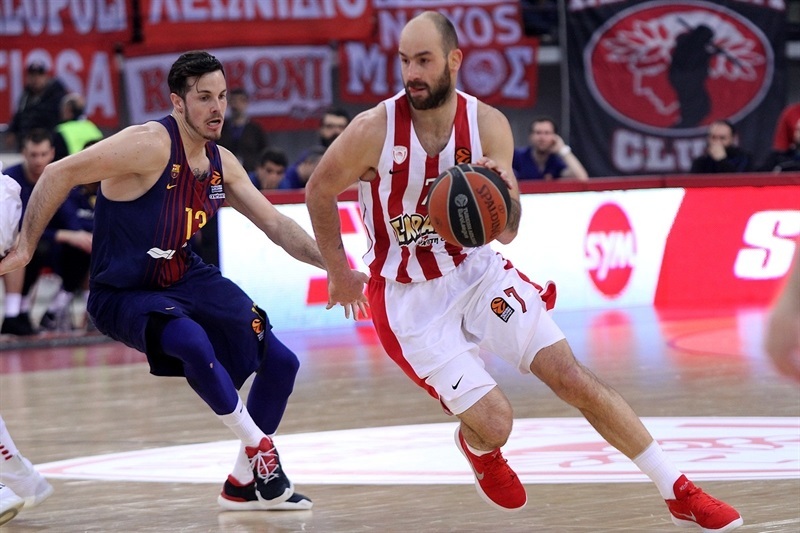 Olympiacos went ahead at the start of the second half when Ioannis Papapetrou scored a triple, but the lead didn’t last long as Koponen and Heurtel scored from mid-range. Then Heurtel added a layup, Tomic returned to the scoreboard, Koponen and Heurtel struck from long-range and Heurtel combined with Victor Claver for a spectacular alley-oop. 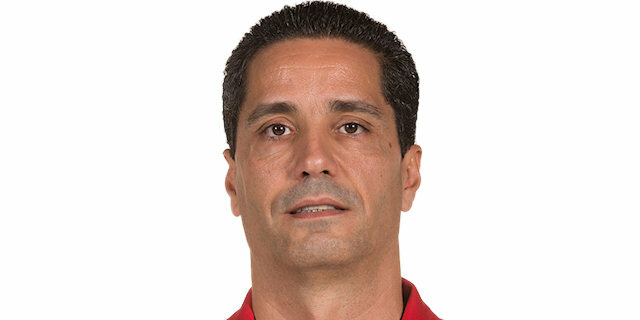 Heurtel scored again to complete a 0-17 run, with Olympiacos held scoreless for more than five minutes before Printezis pounced from close-range. The home team tried to respond as McLean scored 4 consecutive points and Printezis added a triple, but two baskets for Moerman kept the lead at 52-63 after three quarters. Navarro knocked down a trademark three at the start of the final quarter and when Moerman struck from the corner, it was game over at 52-69. 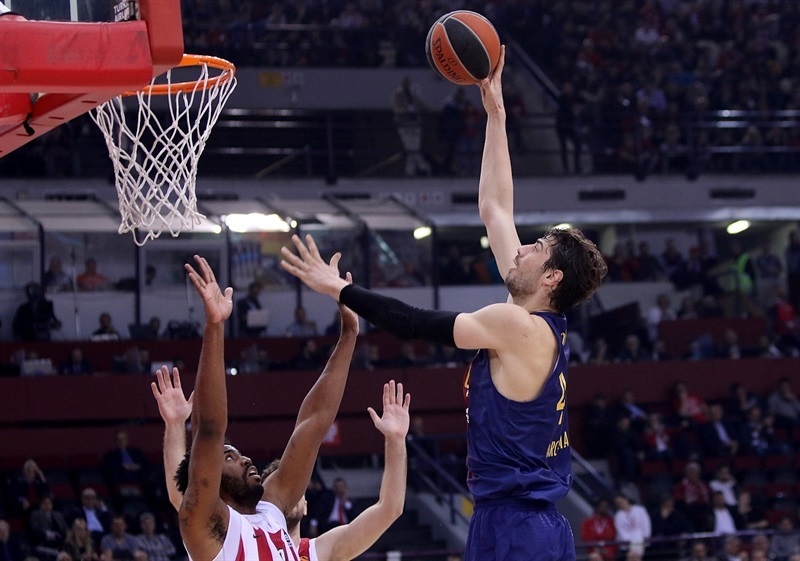 The scoring slowed, but Barcelona’s lead continued to grow as Oriola scored a pair of free throws and a tough layup. 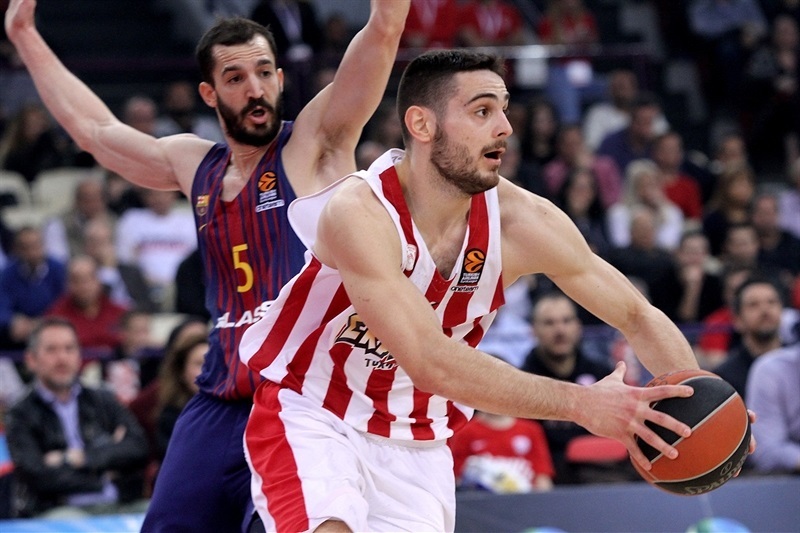 Moerman’s third triple followed by a Tomic tip-in made it 55-85 as Olympiacos continued to implode, and two late triples from Papapetrou did nothing to alter Barcelona’s dominance. "Congratulations to Barcelona, they played better than us tonight. We started very badly, we were nervous and anxious to score. We didn’t have clear ideas and a clear mind to hurt their defense, move the ball and play all together. That hurt our game offensively, and we missed a lot of open shots. The fact we missed these shots hurt our effectiveness on defense, we gave up a lot of easy points – fastbreak, transition and offensive rebounds. At halftime we tried to change the momentum and make a restart, but this didn’t happen. We were not aggressive defensively and were always one step behind. Offensively we tried to attack individually and not as a team. That was the reason the difference became so big and after that it was very difficult to come back." 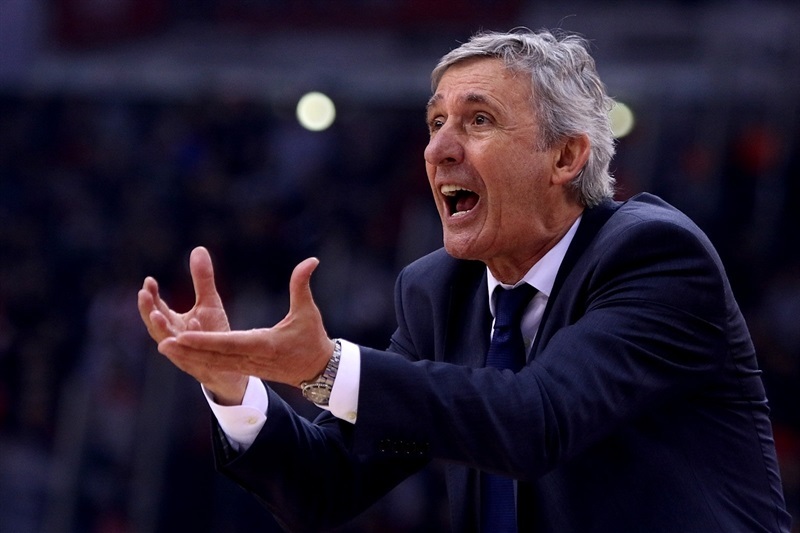 "It was a great game for our team with excellent concentration. We controlled the rebounds all the game, especially the third quarter, which I always say is a new game. 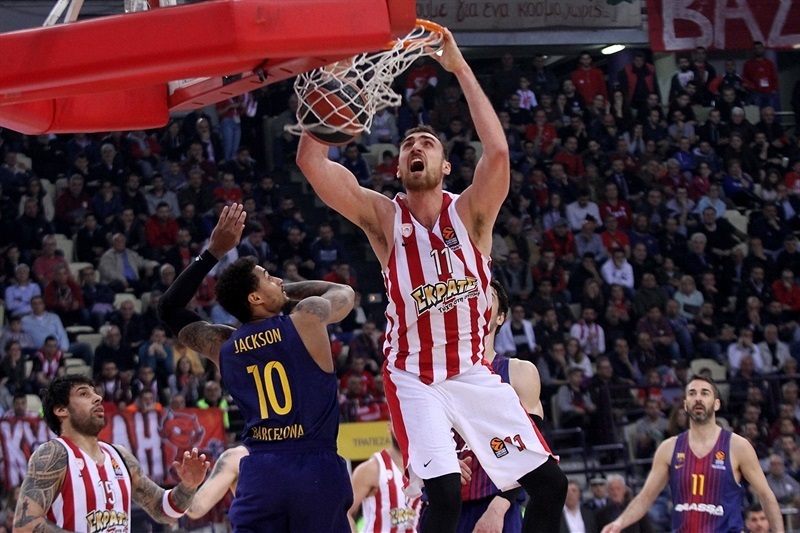 Their most important player, Printezis, was our target; we know he’s the one who makes a difference with his great balance between the inside and outside game. I’m happy that we won, but also how we won the game. I have been a coach for 35 years and played for 15 years, and I can’t remember a team making 50 rebounds at this level. Coaches dream about this, now it's a reality." "We played an excellent game, it's as simple as that. We stuck to our plan, controlled their transitions and pick-and-roll, and they were the two keys to our win. 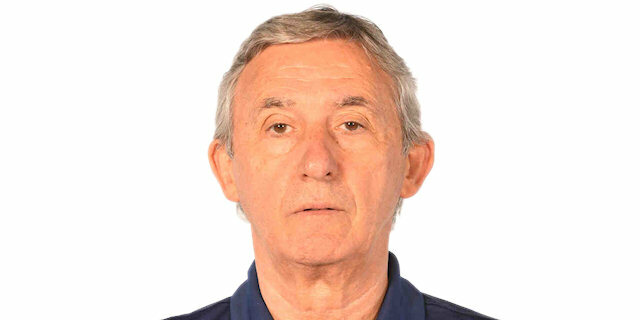 The coach has been here for one month we have a very good balance in that time, and everything is going great. I hope we continue like this until the end of the season."